I am going to be honest and admit that I am, in general, a person who trusts herself and others equally. Sometimes, I might trust others more than I trust myself, but that’s a different story which has more to do with the old program of giving my power away. And I’m working on it. In the past few years, I’ve become better at trusting the Universe, too. My experience with lack of trust comes from interacting with people who don’t seem to trust anyone, let alone the Universe. 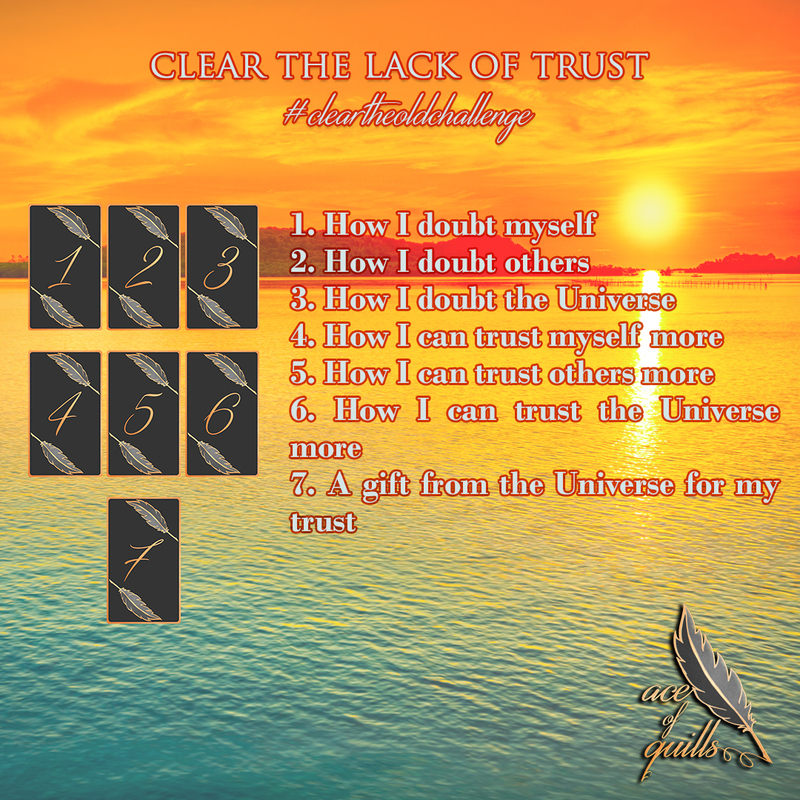 I created this tarot spread for those who feel like they doubt more than they trust, and feel like this tendency hinders them more than it protects them. Trust comes with being vulnerable and letting others see who you are, what you think, what your wishes and hopes are, and all those real, authentic details that make you… well, you. It comes with building strong connections and relationships. Trusting yourself means listening to both your rational side and your intuition. It creates that sort of balance that doesn’t allow anyone to take your power away from you. At the same time, it comes with being able to listen to other people’s opinions and advice without forgetting that you’re the only authority in your own life. And finally, trusting the Universe is the surest way to reach that state of relaxation and surrender that allows you to manifest everything you want. I believe that doubt is one of the reasons why so many people say that the Law of Attraction doesn’t work for them. If you doubt yourself, the world, and the Universe, then the Universe will just bring you more of what exists within you. Trusting that you will be taken care of feels like a huge leap of faith, and if there’s one thing we weren’t quite taught how to do is how to take leaps of faith.